Clean completion fluids or well bore clean up fluids are used for clean out and protection of the wellbore to maximize the oil and gas production. The filter press 1200 sq.ft., FP1200, is a complete equipped DE filter with all necessary auxiliaries. The drip free construction guarantees an environmental friendly operation. The heavy duty system is powered by a hydraulic system with is driven by compressed air booster pumps. The robust constructed unit is easy to operate and maintain. 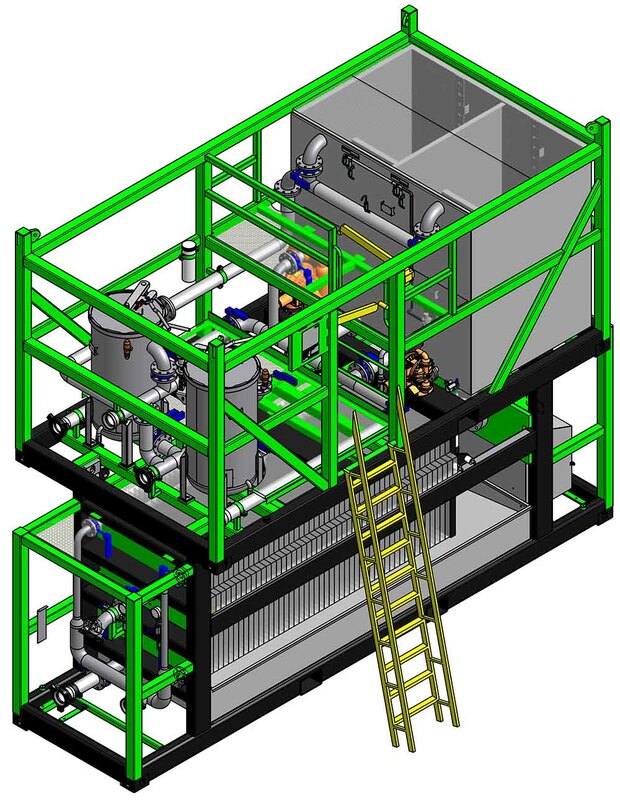 The filter press can be operated in single or twin configuration with one slurry mixing skid. The filter press is available in high flow design for flow rates up to 32 BPM. For over a century diatomaceous earth filtration units (DE or Diatomite filtration) has been a widely used filter unit to purify fluids. Diatomaceous earth is a very suitable filtration medium for the removal of solids and microorganisms from water and other fluids. It is also widely used in the oil and gas industry. 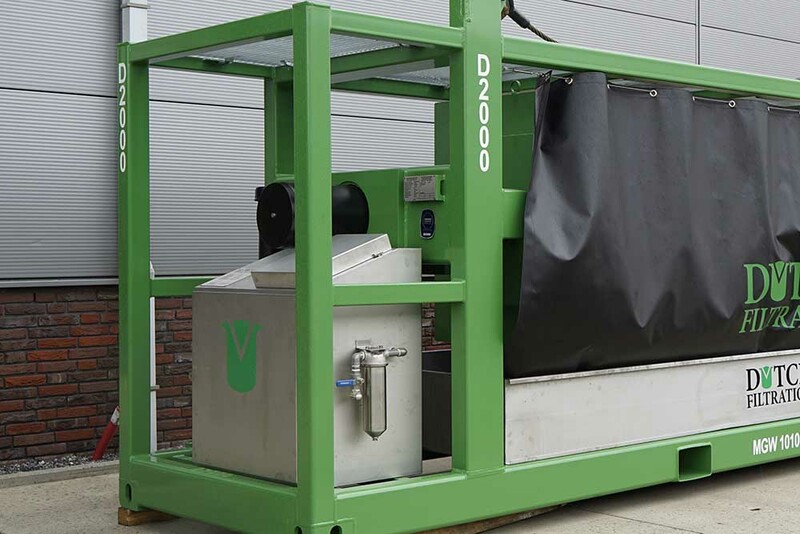 Dutch Filtration has developed a range of robust diatomaceous earth (DE) filtration units, such as the Vertical Pressure Leaf (VPL) and the Filter Press, because diatomaceous earth filtration is a low cost solution for cleaning completion fluids and wellbore clean-up fluids. This protects the wellbore and maximises the production of oil and gas. How does diatomaceous earth filtration work? Diatomaceous earth, also known as precoat filtration, is a soft sedimentary rock comprised of the skeletal remains of microscopic aquatic plants called diatoms. The low density, high porosity and relative inertness makes diatomaceous earth an ideal filtering medium. especially as the diatoms can have interior pores as small as 0.1 micron. Diatomaceous earth filtration is easy to use and is very effective at removing solids and microorganisms from water and other fluids. 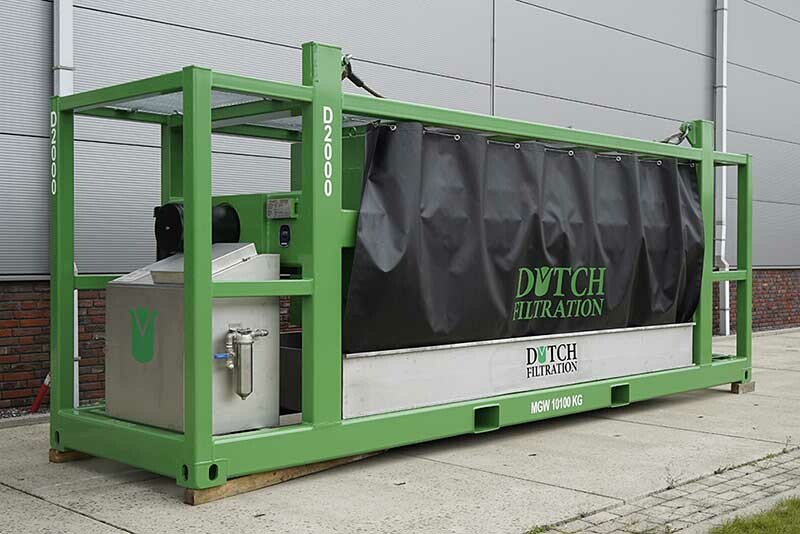 Dutch Filtration’s diatomaceous earth (DE) filtration units are specifically designed to filter completion fluids, workover fluids and gravel-pack fluids according to the highest quality standards in the global market. The drip-free robust construction of the Vertical pressure unit and the Filter Press provides environmental friendly operation. 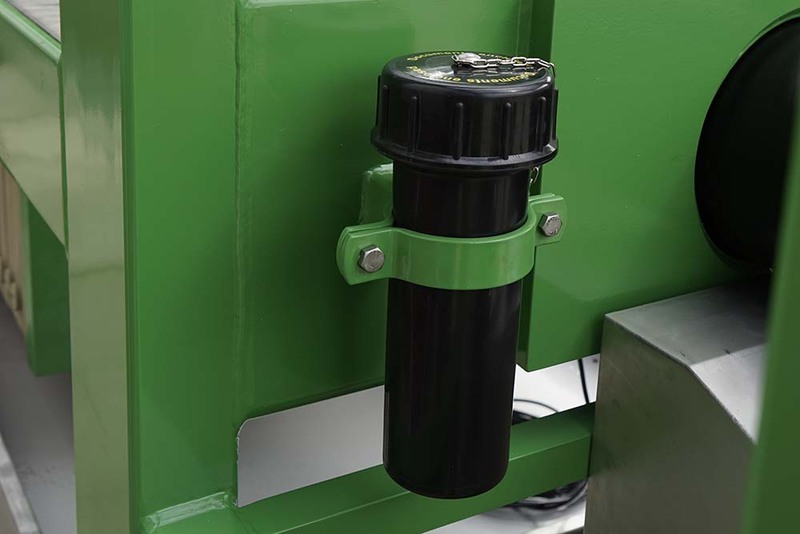 The vertical pressure filter unit and filter press can be fitted on every on- and offshore installation or quickly and safely fixated on a truck or deck. The DE filter press can handle high flow capacities. 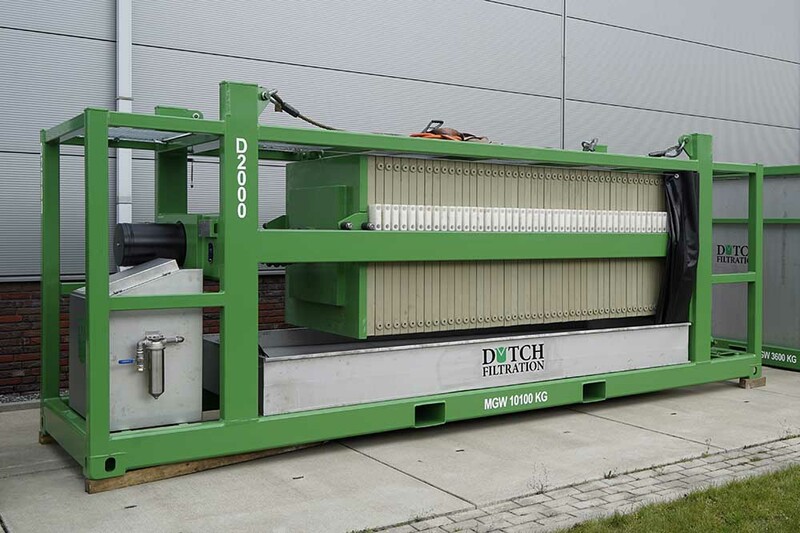 The diatomaceous earth (DE) filtration units of Dutch filtration have a high dirt holding capacity that minimizes earth usage. The diatomaceous earth (DE) filtration units can not only be used for filtering completion fluids, workover fluids and gravel pack fluids, but also for the purification of produced water, waste water, slops water,acids, and other liquid filtration processes such as beverages. The advantages of diatomaceous earth filtration are the low up-front cost and the long filter runs. A diatomaceous earth filtration unit or precoat filtration unit can be set up to run virtual without virtually any manual attention and is low in maintenance. It is a simple and reliable system that is very effective. Other sizes 600-1600 sq. ft.
To complete your filter set Dutch Filtration offers a stackable slurry skid. This stackable slurry skid is also equiped with our dual vessel filter unit. The complete unit can be placed on a heavy duty filter press. The advantage is a small footprint. The skid is suitable for onshore and offshore applications such as filtration of completion fluids, gravel pack fluids, workover fluids and waste water. 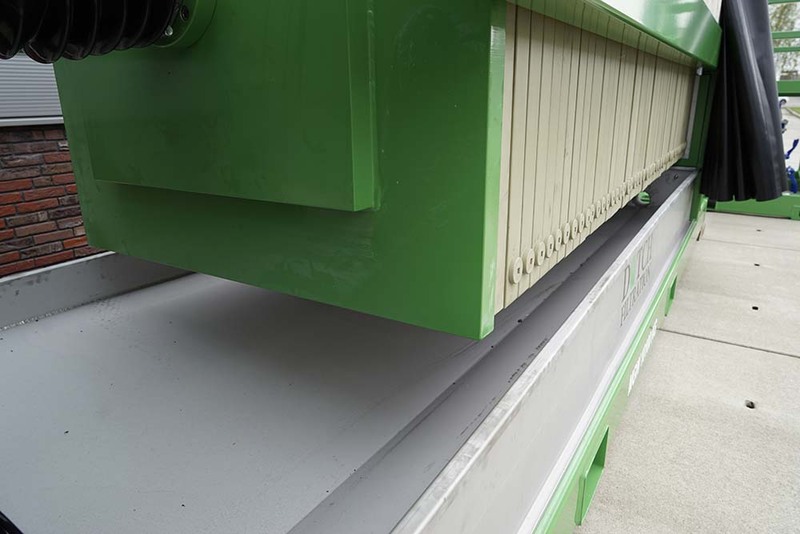 Our filter presses are standard equiped with a splash curtain for optimal protection during the fill cycle or during power washing of the filter plates and cloths.